Nika Danilova tells the story behind a very special single off her blood-red sixth record, Okovi. “Bury the tongue/ Between the teeth/ Open the jaw/ And sink in deep,” wails Nika Danilova, a.k.a. 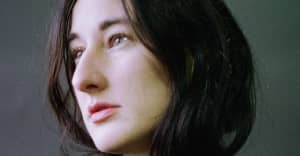 Zola Jesus, over fervent cello and hair-raising clatters and shakes on “Exhumed.” The song was the first single from her deeply furious, soon-to-be-released sixth album Okovi, which sounds like the soundtrack to a flickering, high-contrast psychodrama. It's filled with pure passion, from start to finish. “Exhumed” is a brutal purge, an effort to release churning inner rage, the Michigan-based songwriter said recently. It was the first track Danilova wrote for the record, and the one that’s most special to her, on every layer — from its foundation of strings to the immediateness of its lyrics, which she says just tumbled out of her. Though the song burns with urgency, it took Danilova just about two years to write. This is the story of how it came to be. 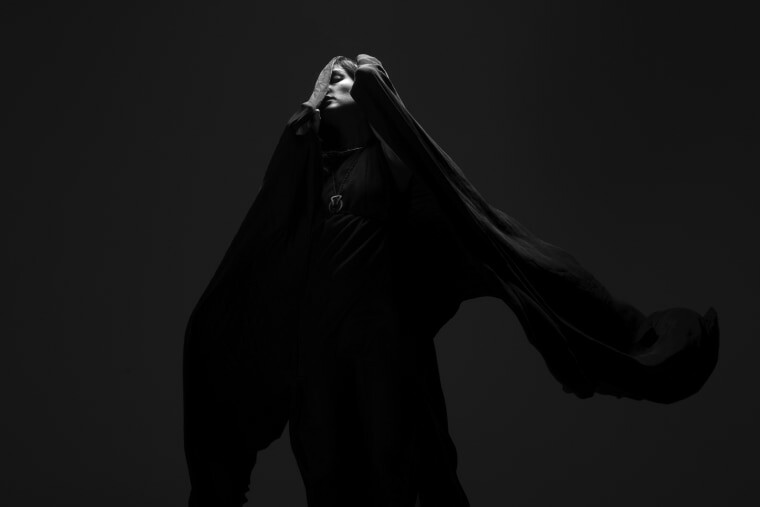 ZOLA JESUS: I was really angry, so I wanted to make something that felt cathartic. I started with those stabbing strings, and then it grew from there. For about two years, the song was only a minute long. It would build and build and build, and then it would stop. When I was finishing everything for the album, I was like, This needs to be a real song. I love this one-minute idea, but it needs to be a full song. I’d been so stumped on it for two years; I didn’t know how to make it longer. I didn’t know where to go from there. But then I came up with this line, “Let it sink/ Don’t let it hold you down.” I was sitting in a room with my friend Alex who was helping me finish the record — he co-produced and mixed the album. He was working on something else, and I was working on my computer and singing really quietly, because I didn’t want to disturb him. I don’t think I would have come up with that line had I not been singing so quietly — I usually sing very loudly. That busted the song open. I discovered where it was gonna go, and from there it completely fell out of me. And then it ended up being a six-minute-long song. At some point, I was like, OK, it doesn’t need to be that long, so I cut it down. I wanted to make it really efficient. I didn’t want it to feel like there was deadweight. I was having writer’s block for about two years, where every time I tried to write a song I would just start bawling. “Exhumed” was one of the first songs I actually wrote and was like, I like that. That did something for me. I hadn’t experienced that in so long. It felt very pure, or something. The lyrics aren’t so straightforward, but I think in general I was channeling all of my anger and resentment and grief and depression. It was coming out as a battle cry, where I was feeling helpless and trying to take control of everything I was going through. I was trying to turn it into power. It’s angry. It’s red and black. It’s like blood. It’s like a battle. It’s frustrated, and at the same time violent. I felt very violent when I was writing it. Maniacal. Usually my music is a lot more contemplative and introspective. Everything with the teeth and the claws — it’s just primal rage. One of the few weapons animals have are their teeth, their jaws, their bite. You don’t have anything but your own utility that you’re born with. I didn’t think about these lyrics at all, it was all automatic, but I think it came from this feral place. That’s what I felt like. Like an animal.